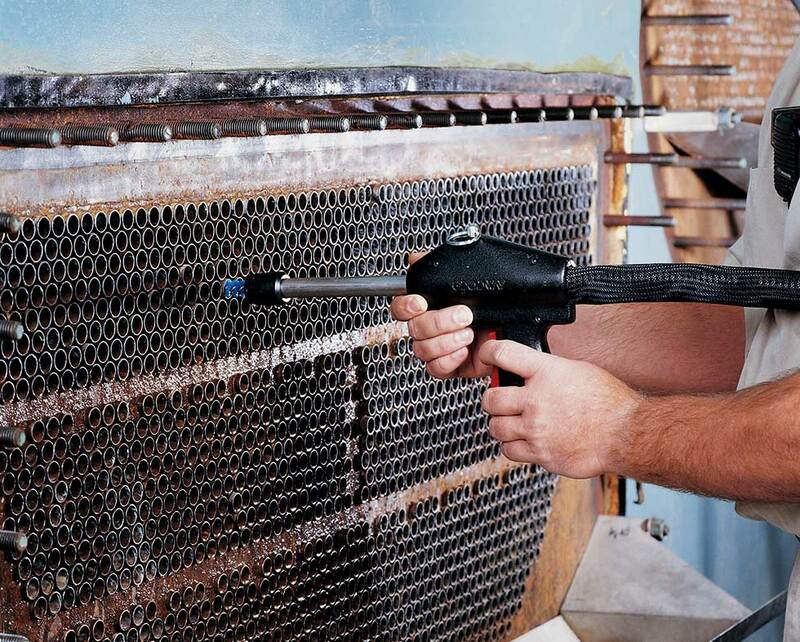 With patented technology and years of proven performance, the RAM-5 is the chiller tube cleaning machine of choice among contractors and facility managers with large tube bundles. With a pull of the trigger, the revolutionary Speed Feed gun fires the shaft quickly into the tube, eliminating manually feeding of the shaft. Plus it allows you to dial in the optimal speed of the brush rotation and shaft feed rate for better cleaning of straight or enhanced tubes. Additionally the quick connect shaft and brush connections make changes faster than ever before. 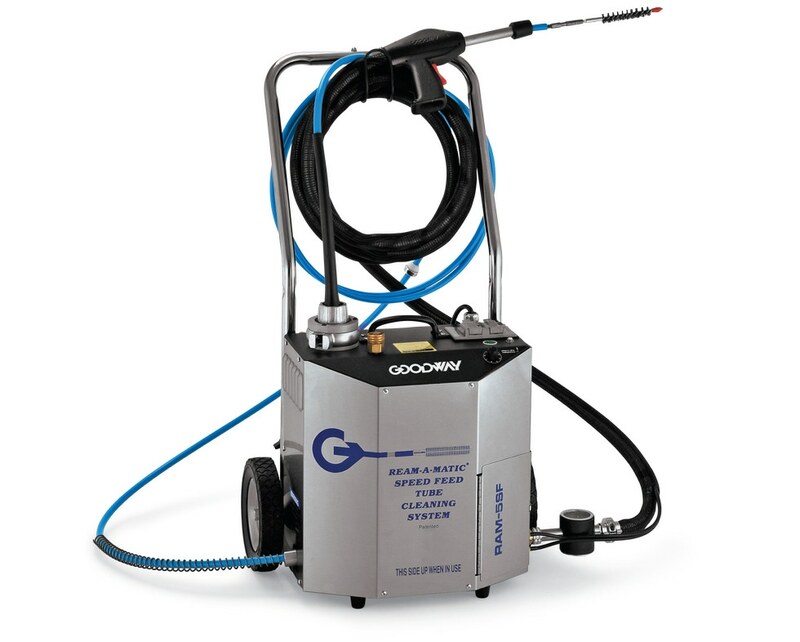 These innovative features, plus integrated water flush and industrial strength construction combine to clean tubes up to 4X faster than other rotary tube cleaners. For cleaning tubes 1/4" to 1" I.D. RAM-5 Speed-Feed Tube Cleaner 1HP (0.6 kW), Speed-feed gun 15' (4.6m), guide hose, one set of shaft feeder gears, mobile dolly with tool storage box, foot switch. Note: Shafts, brushes and other accessories sold separately.